Shanghai is a city that embraces modernisation and globalisation, whilst preserving its traditional culture and heritage. I was impressed by this appealing mixture of old and new. I chose to complete the Global Business Practicum (GBP) in Shanghai because I am an international student who is considering returning to China after graduation. I’m also majoring in finance, and since Shanghai is known for being a financial centre, it was the ideal destination city. It was a great way to get a feel of the city’s working environment and lifestyle. 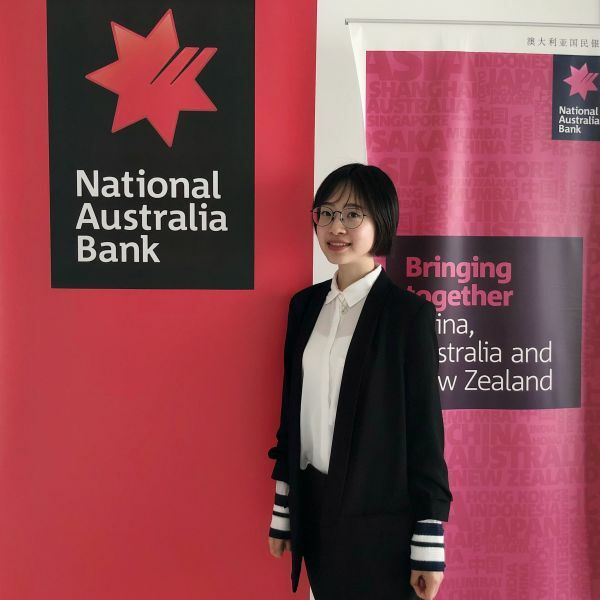 I was fortunate to have an opportunity to work for National Australia Bank (NAB) in a team with fellow students from different disciplines. 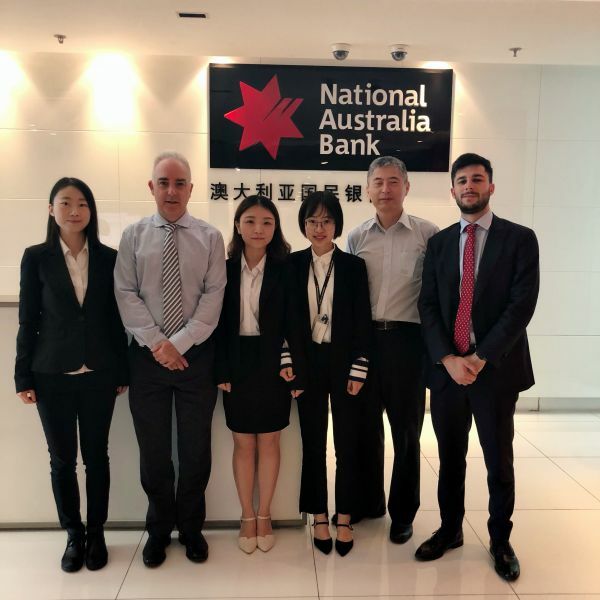 We aimed to improve the payment system of international student tuition fees to Australian educational institutions. During my two weeks in Shanghai, my team sometimes struggled when brainstorming and discussing our ideas, but we overcame those obstacles and reached our goals. The most challenging aspect of the subject was changing our mindset from being passive students to actively problem-solving like consultants. None of us had professional knowledge or previous experience in the banking sector. We initially felt unprepared and unsure of how to start our project. During our first several meetings, we agreed on a method and were able to narrow down our project scope and identify our focus. This set us off to a good start. I had the opportunity to enhance my communication and analytical skills in a business context. Conducting interviews with several NAB directors was one of the major channels of collating information. Every team member contributed to generating ideas and formulating the most appropriate questions. This helped us run interviews in an organised and logical manner. After the interviews, my team decided on what information should be included in our summary. We came up with solutions and gained confidence from our preliminary findings. Our final presentation to our client went smoothly and my team felt our efforts had paid off because our client highlighted multiple recommendations that were appropriate for them. I also appreciated our academic supervisor’s help as we were able to improve our final presentation’s structure and content. Since completing my project for NAB, I feel differently about teamwork. Teamwork is a requirement when completing university group assignments and after dividing up work, students simply complete their individual part. Now, I recognise that teamwork should include a collective group identity. From our host company’s perspective, our individual behaviours reflected on the whole team. Regardless of individual performance, we needed to ensure that our contribution benefited the team. A crucial part of the GBP was that it provided me with the opportunity to expand my professional networks in China, whilst obtaining exposure to a dynamic workplace. It has contributed towards my career development. In conversations with senior management, they shared their career trajectories and insights into the current industry environment. In addition, the positive feedback I received has inspired me and I am motivated to continuously develop my employability skills. I truly treasure every moment and appreciate the support I received in this subject. The GBP allowed me to transform my academic knowledge into professional practice.